Have you ever stopped and muttered to yourself, 'what we really need is some more banal, pre-packaged, inconsequential Adult Contemporary pop on the radio'? 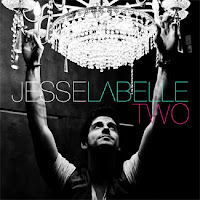 If you have you are in luck as Toronto singer Jesse Labelle releases his sophomore album, Two, on August 7th. Alyssa Reid shows up and contributes nothing on "Heartbreak Coverup". The song could have been quite catchy had Labelle chosen to play it gritty rather than fall back on stale R&B beats. The artificial heartbeats on "Won't Let You Down" will have you wishing they pulled the plug on the otherwise run-of-the-mill piano ballad. The Autotuned "Tell the World", is soul-deadening. There are some flashes of brilliance decency. After lulling you to sleep in the verses, Labelle smacks you in the face with one of the record's few bursts of honest passion on "Straight Line". "One Last Night" defies the odds, overcoming a mind-numbing drum machine and ill-advised rap interlude to deliver a head-bopping chorus and some cute lyrics. Unfortunately, Labelle's (or maybe his producer's) primary motivation appears to have been radio play. There's no other way to explain the pandering that goes on during Two. It's a shame, because Labelle can pen a decent song. Sad. I stumbled upon this review this morning before actually hearing listening to the CD. I'd firstly like to point out that you make some fair points. I'm a huge Labelle fan, and am glad to hear I'm not the only one who hates Alyssa Reid's "contribution" to Heartbreak Coverup. You also make a valid point in terms of it sounding like the goal of this album is radio play. That was my first thought when I first heard Heartbreak Coverup due to the fact it's so different from his first CD. It's a lot more "pop-y" and upbeat, as opposed to his more acoustic sound in Perfect Accident. In his defense though, Perfect Accident didn't get great response and two of the three tracks that were released off it were "pop-y" and they had the best response. So, in order to make himself known it would make the most sense to do something that sells. In regards to the album on a whole. There are a lot of really cute, upbeat songs. Even though you bashed it, my favourite song is "One Last Night." I think it has a really sweet positive message. It also seems unfair to judge what he has done. He seems genuinely proud of the work he put into this album, and I think we should all try to help promote all the handwork he's put in. Despite the fact you gave this album a 3/10 I still have to say it's at least an 8/10. You are definitely entitled to your opinion. I'm not used to reading such well thought out comments.